Wet studs? How are you going to get your gear ready for the next match? The rains make for fantastic footy weather! 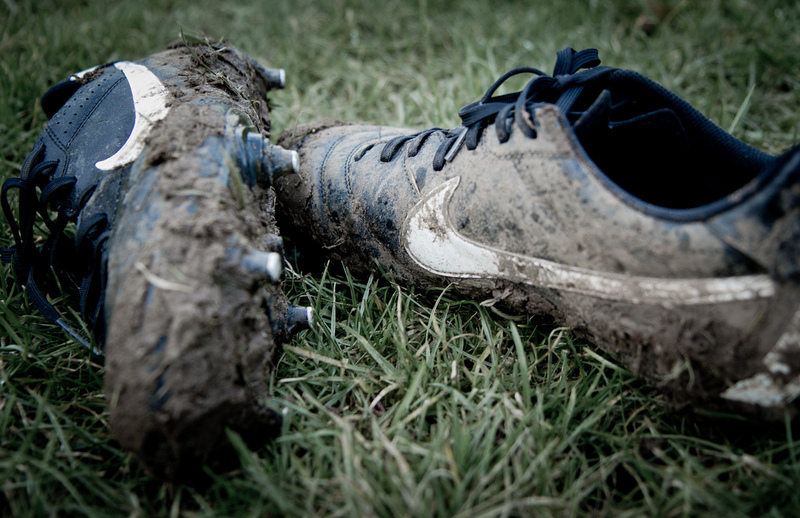 Sure the games are fun, but how are you going to get your boots dry for tomorrow’s game? There’s muck all over them when you’re done playing, how do you clean them? Here are some handy tips to keeping your football gear in shape this wet season. 1. First things first, remove the laces so that you can open up the boot completely. 2. Knock the boots together to get rid of any loose dirt and muck. 3. Allow the wet dirt to dry on the boot and then scrape it off with a brush or rag. 4. Wipe the boots clean with a moistened toothbrush or rag to remove dirt and particles from grooves. Note: Do not use hot water, or sharp objects to clean your boots. Hot water will stretch the boots making it lose shape, and sharp objects can damage the body or sole. 1. Stuff each boot with rice or newspaper. This will absorb moisture and hasten the drying. 2. If possible, allow the boots to dry naturally. If you cannot wait that long, throw them into the dryer at a medium or low setting or use a hair dryer with low heat. 3. Sprinkle some baking soda evenly on the inside and outside to absorb any remaining moisture. Note: Do not use hot air or high heat settings to dry boots. The heat will make the boots stiff and weaken the adhesive. This can cause your boots to fall apart while you’re playing! 1. After you’re done using them, always make sure to stuff your boots with newspaper to keep their shape. Stacking your boots in a shoe rack can cause them to collapse and get deformed over time. 2. 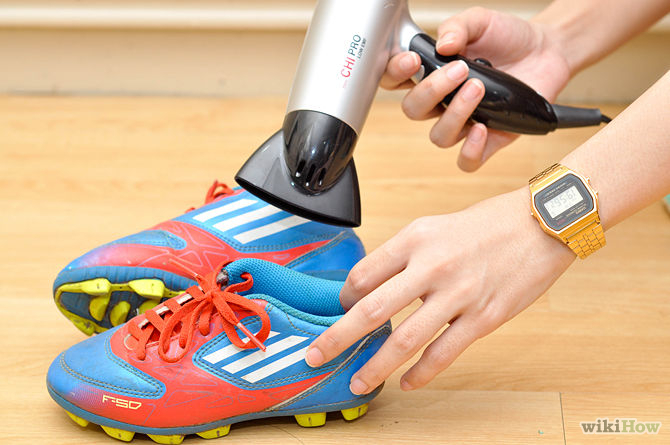 Sprinkle a mixture of baking soda and fragrant talcum powder into your boots. This will absorb the sweat and moisture from the boots and get rid of odours. 3. Rub Vaseline or shoe wax on your boots to keep them clean and prevent mud or muck from sticking to them. Note: A lot of people spray perfumes or deodorants into their boots. This only masks the smell that is created by sweat and bacteria in the shoe. It’s an expensive and temporary fix.